The Alpine Green Day on Bled | Robotina d.o.o. On Friday, 16 February 2018, Association of Slovenian–Liechtenstein’s Friendship organized a congress on Energetic and Financial Independence – the Alpine Green Day on Bled (Slovenia), which was a linking event between Slovenian and Liechtenstein’s companies in the field of energy and finance – as an introduction to long-term friendly and business cooperation. The CEO of Robotina, Devid Palčič, performed an outstanding presentation of Robotina’s operations and their future plans, emphasizing that we need to collaborate in order to be able to follow the pace of the development in the field of technology, and to sustain the standard of living we have today. 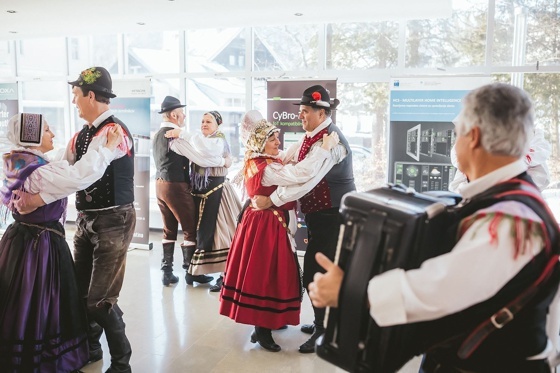 Bled’s Festival Hall hosted a Congress of Slovenian–Liechtenstein’s Friendship Association on Friday, 16 February 2018. High-ranking officials of Slovenia held welcoming speeches, e.g. (1) from Ministry of Foreign Affairs, Mr. Gregor Šuc, Authorized Minister, Head of the sector for European countries, (2) Representative of the Ministry of Economic Development and Technology, Mrs. Eva Štravs Podlogar, State Secretary etc. The main theme of the congress was the Energetic and Financial Independence – the Alpine Green Day. Robotina’s CEO, Devid Palčič, impressed the public with his speech on technologies of the future with the emphasis on energy efficiency, robotization and environmental protection. 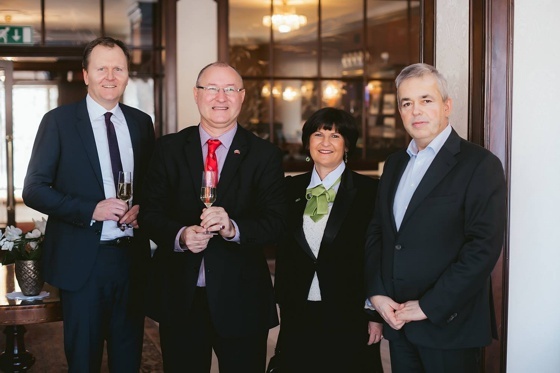 Energy and financial independence: a linking event between Slovenian and Liechtenstein companies in the field of energy and finance, held on Bled, Slovenia, on 16 February 2018, served as an introduction to a long-term friendly and business cooperation. 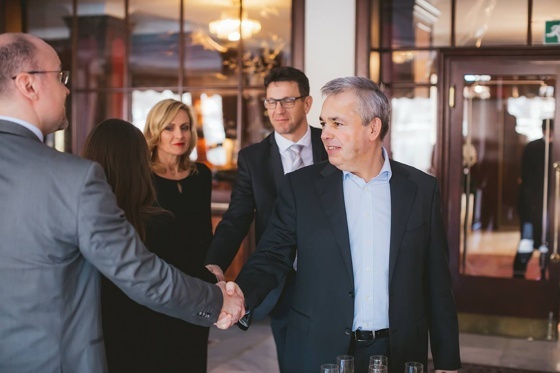 Before having the afternoon’s presentation on Robotina’s role in the high-tech industry and its impact on the future of our society and the natural environment, Robotina’s CEO, Devid Palčič, joined a bilateral working lunch, hosted by Bled’s Mayor. At this bilateral event the representatives of the Slovenian–Liechtenstein’s Friendship Association, hosts and other important guests from private sector of both countries and Slovenian public administration exchanged their experiences and shared the ideas for future cooperation.